Patchwork print blouse by EMILIA LAY with 3/4-length sleeves. The on-trend print looks very expressive on this supple material. Each item is unique. 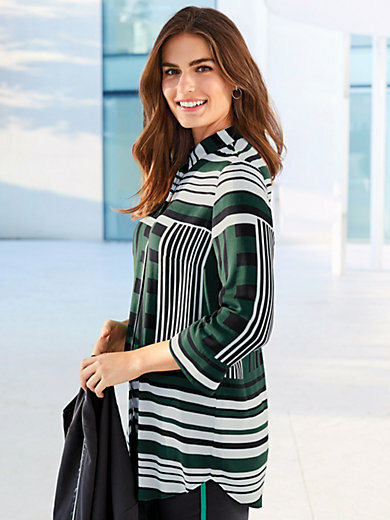 With shirt collar, slightly rounded hem and concealed button front. Wide band with vent on the sleeves. 100% viscose. Length in size 16 approx. 30ins. The patchwork print blouse is machine washable.